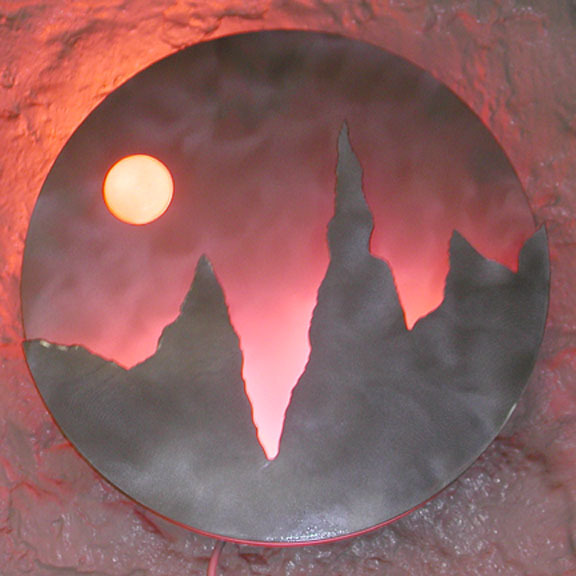 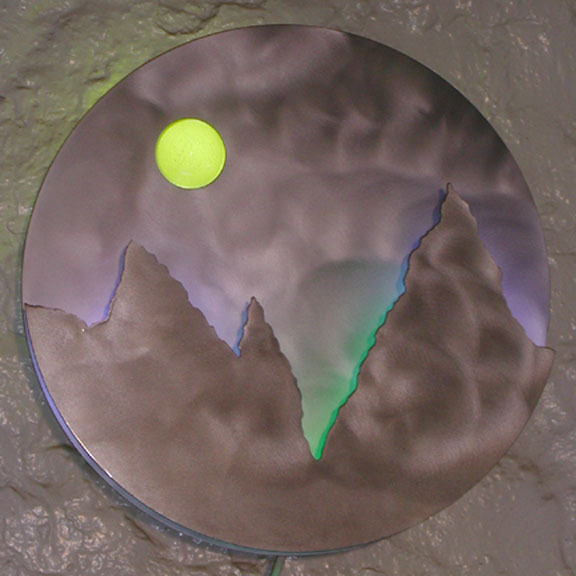 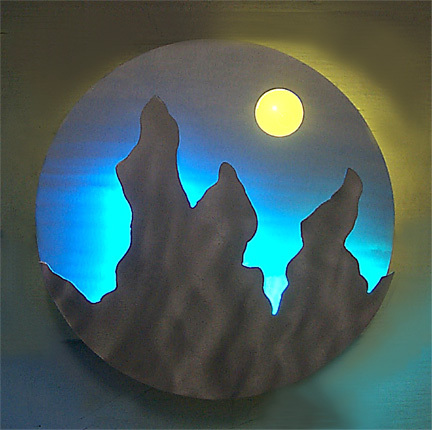 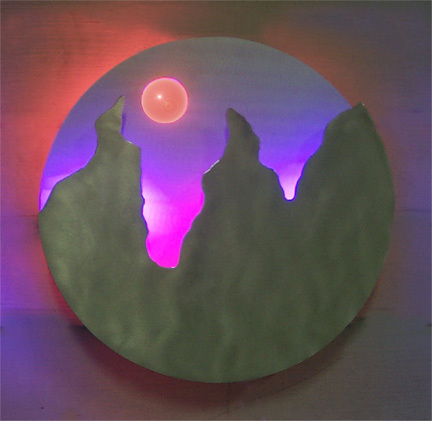 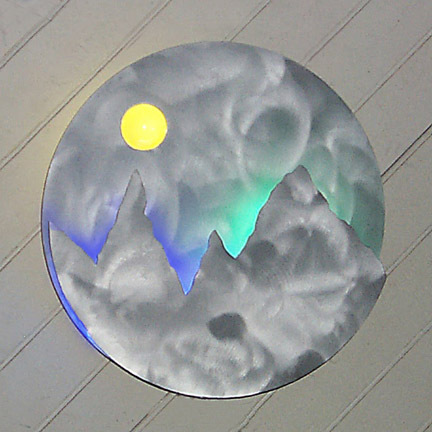 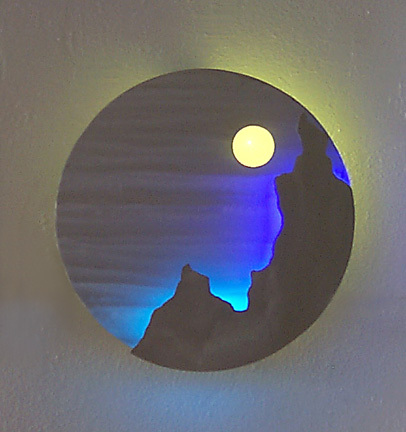 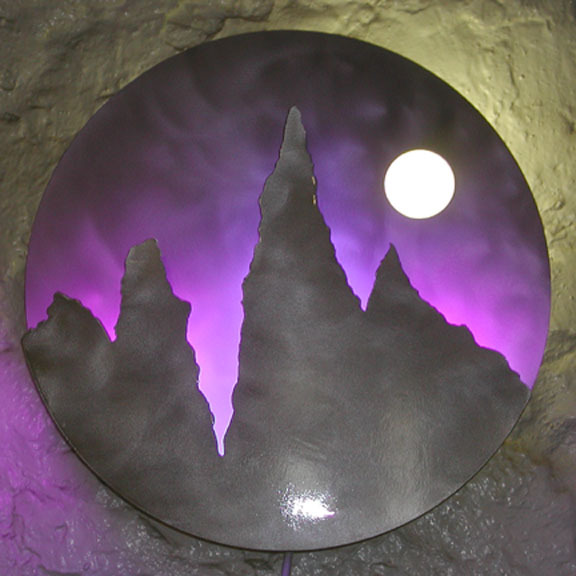 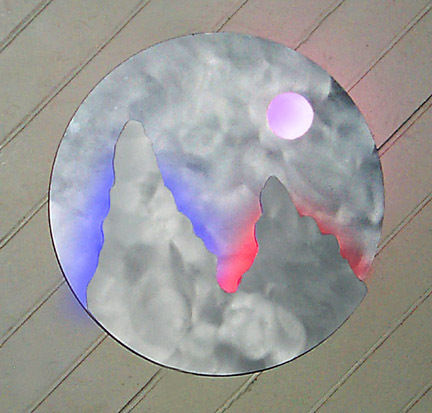 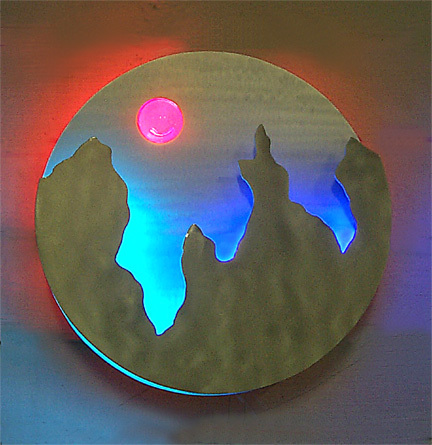 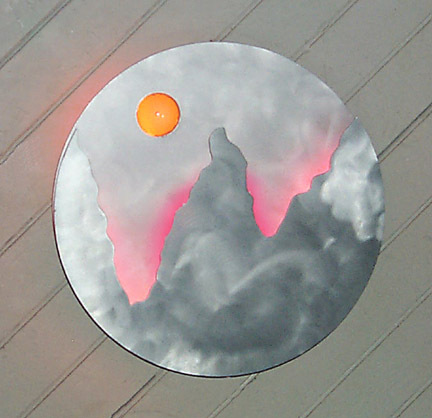 The DiscScapes consist of a round disc of brushed aluminum and a frontal brushed aluminum "landscape" with sandwiched neon casting its glow on the aluminum disc. 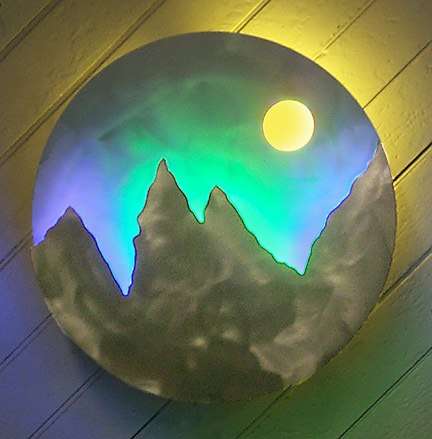 In the background is a glass lens "sun"or "moon" backlit with neon. 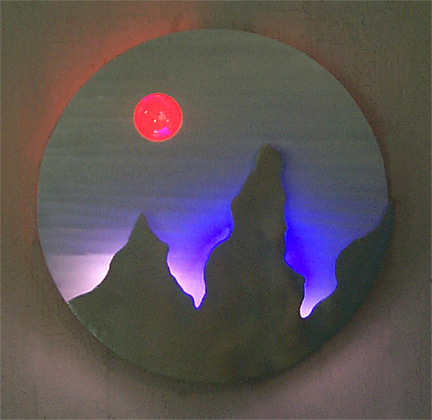 The DiscScape Series followed the Venusian Landscape Series.